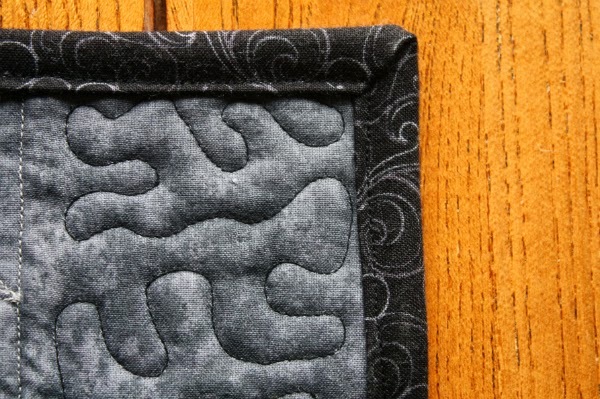 I really like the change to 8", and that it allows use of FQ's and more quilting options. Cute finish! And you can call me backward, but now that I have done a few machine bindings, I actually prefer attaching to the front. cool stuff. I wish I had a moment to test the pattern... good luck with it!! 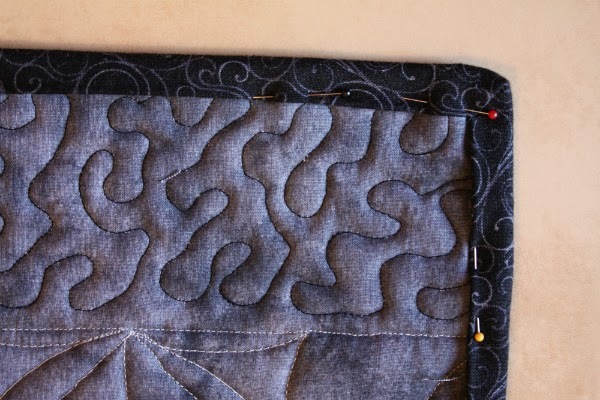 Have been trying out machine binding too, but I actually enjoy the hand stitching so will stick to the old-fashioned method unless I am in a hurry. Would be happy to test the pattern for you. These are super fun! 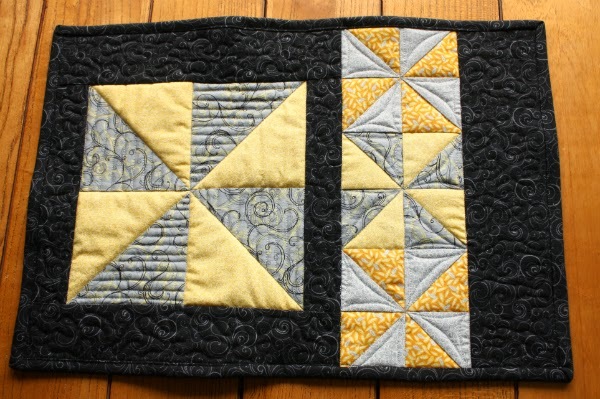 I especially love the yellow/gray fabric combo! Fun patterns. Love the gray and yellow. Thanks for linking up to TGIFF! I have been wanting to make some placemats. I would love to test the pattern for you. 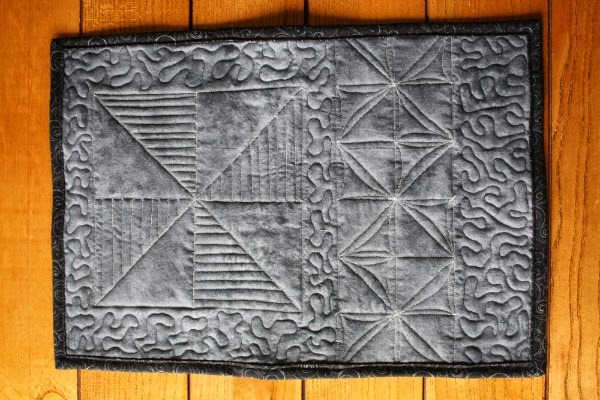 Very cute pattern and I love the quilting you added to each. Great placemats, it's so rewarding when all your calculations work out isn't it?! They are really pretty, well done for trying something new to you! I can't get to grips with machine binding, it just turns out a massive mess for me! Hi from Ontario - I hope your weather is as lovely as ours! 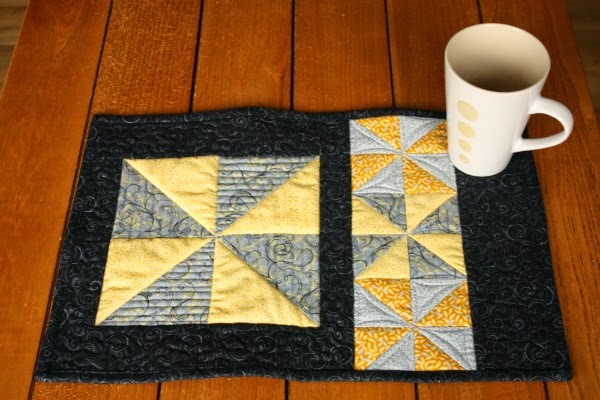 Gorgeous placemats - I really like the grey and yellow combo, and the fun quilting designs - lovely! I used to do my (quilt) bindings by hand too, but when my hands got too "tetchy", I had to give it up. It certainly goes faster by machine! 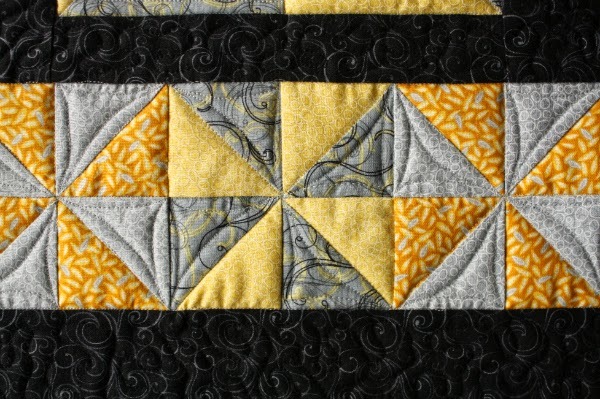 Straight line FMQ is awesome isn't it, such impact. 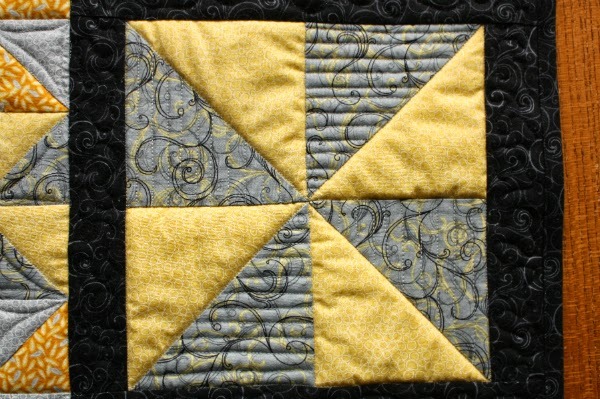 And I like the continuous curve on the pinwheels , really brings out the pattern of the piecing. great mug rugs. Yellow and grey!! 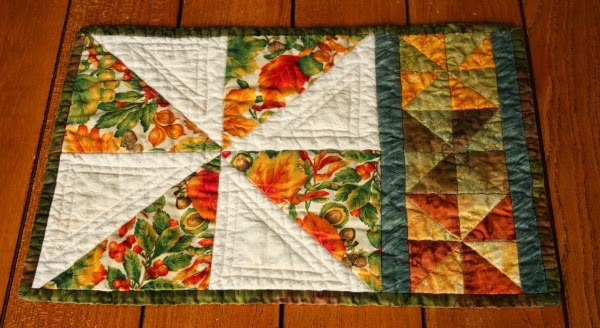 My favourite :) The quilting looks wonderful!